New proposals that would see three unionist electoral wards added to the North Belfast constituency area could end Sinn Féin’s dream of claiming the seat – but that prospect is not yet dead in the water, according to one local political commentator. Jude Collins was speaking after the recommendations were released on Tuesday by the Boundary Commission. 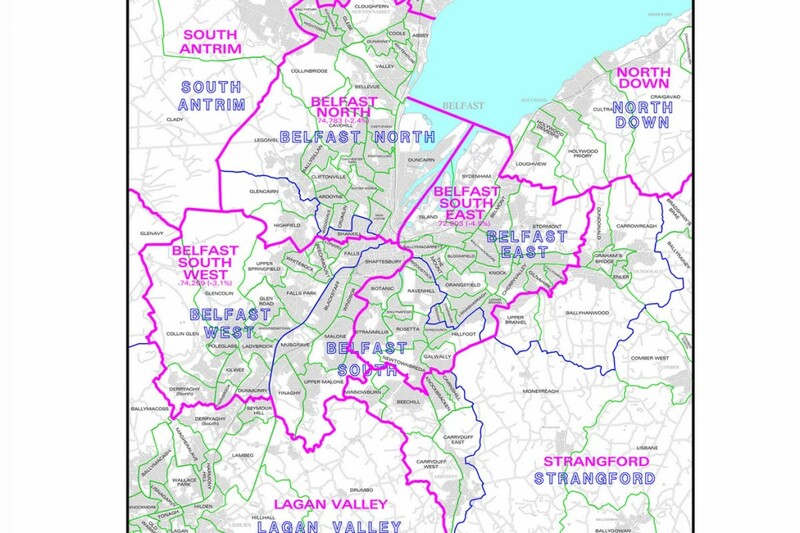 Although the document has to go out to a 12-week consultation, in its current form it would see Belfast North reduced from 18 constituencies to 16, with the staunchly unionist Glencairn, Highfield and Shankill wards transferred from West Belfast to North Belfast. If the proposals are implemented, they could see around 4,000 new unionist voters on the North Belfast roll, shoring up the position of sitting MP, DUP deputy leader Nigel Dodds, in the face of recent Sinn Féin advances. May’s election saw Sinn Féin’s Gerry Kelly increase his vote by almost 4,000 from the 2005 general election, just 2,000 behind Nigel Dodds, positioning him well for a win next time round. Jude Collins said although the extra unionist votes could spell trouble for Gerry Kelly’s future campaign, it is too early to write off the Sinn Fein man’s chances just yet. ‘The news must be frustrating for Gerry Kelly,” he said. “Looking at the figures, he was increasing his vote and looked likely he was going to take it [the Westminster seat]. Nigel Dodds is the deputy leader of the DUP, if he lost his seat after Peter Robinson lost his in East Belfast then it would not look good for the DUP. The political commentator said looking at the proposals across the North, it seems certain the SDLP would lose Alasdair McDonnell’s seat in South Belfast, increasing Sinn Féin’s position as the dominant nationalist party in the North. “Even though Alasdair McDonnell carefully built up his support in South Belfast, it is doubtful that he could hold on to it. Considering the weekend that just passed, with Sinn Féin’s Ard Fheis in the Waterfront while the SDLP was licking its wounds and cutting each other’s throats over the leadership, it is good news for Sinn Féin in the future if the proposals go ahead,” added Mr Collins.